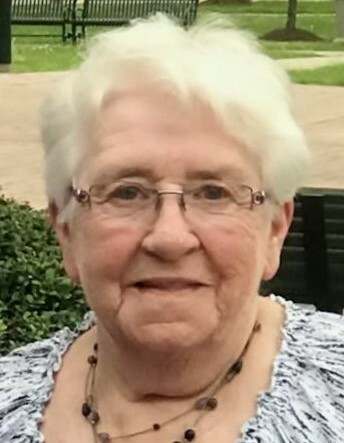 Marie D. (O’Neill) Hinton, 79, of the Plantsville section of Southington, passed away unexpectedly at her home on Saturday, April 13, 2019. She was a devoted wife, mother and grandmother. Marie was born in Dublin, Ireland on October 17, 1939 to the late Pierce and Mary (Kiernan) O’Neill and had been a longtime Plantsville resident. She worked as a head inspector at the Napier Corporation for many years. Marie is survived by her husband George Hinton, son Brian Hinton and Lisa Klee of Plantsville and daughter Kim Hinton of Tennessee, three grandchildren, Alaura, Derek and Emilee, one brother, Francis O’Neill of Ireland and many nieces and nephews. In addition to her parents, she was predeceased by her sister, Patricia Brooks. Donations in Marie’s memory may be made to the CT Humane Society, 701 Russell Rd., Newington, CT 06111 or to the American Heart Association, P.O. Box 417005, Boston MA 02241-700. A celebration of Marie’s life will be held at 6:30 p.m. on Wednesday, April 17, 2019 at the Plantsville Funeral Home, 975 S. Main St., Plantsville. Calling hours will be held before the service from 5 – 6:30 p.m. at the funeral home. Burial will be private and at the convenience of the family. For online condolences and directions, please visit www.plantsvillefuneralhome.com.